As an 7/8 year old when the first film 'Harry Potter and the Philosophers Stone' came out I was just fascinated by the world of Harry Potter. I've bought most of the books, but as I am so bad a reading, I have not yet read them all (Another Resolution! 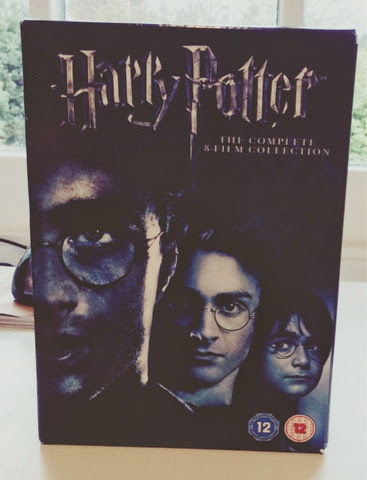 *Hint*) but the films helped me develop my love for all things Harry Potter, For Christmas last year, my sister bought me the box set for the films and I was so happy as our family had bought them in the past but had lost the discs etc :'( but now I can watch them when I want! Yaaaay :) I originally got the 1st film on Video. CAN YOU BELIEVE IT, VIDEO? How old does that make me feel? no one even owns a Video anymore! I remember watching it 4/5 times in one day as I was hooked! My Nan even bought me a Harry Potter dressing gown which was.. did you guess? a cloak! Which one have you watched the most? 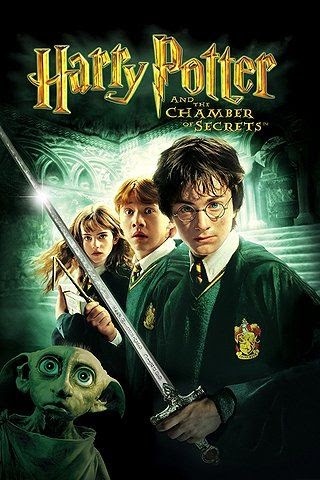 The Chamber of Secrets, the second film. I kid you not, I watched that film FOUR times in the cinema! before it even came out on DVD. What was your favourite Harry Potter Film? I honestly can not think of a favourite one - I love them all! Favourite moment out of all of the films? 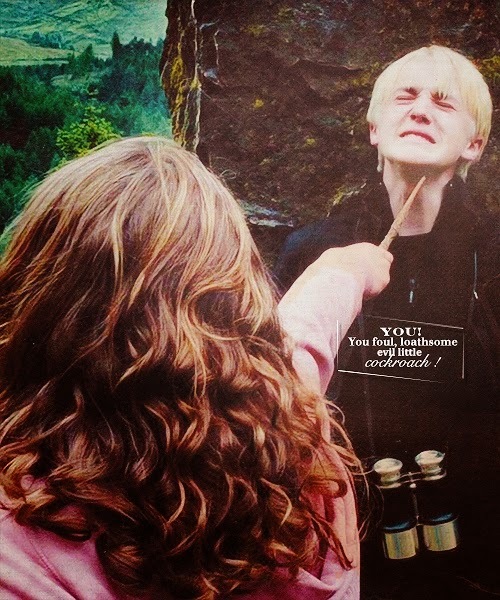 When Hermione punched Draco. Classic. (Harry Potter and The Prisoner of Askaban) but I loved all of what happened in the films. If you could be any of the Harry Potter Characters, who would you be and why? I would be Neville Longbottom, the amount of Stupid Stuff I get into is ridiculous. I am practically a female version of him. If you could learn one thing at Hogwarts, what would it be? 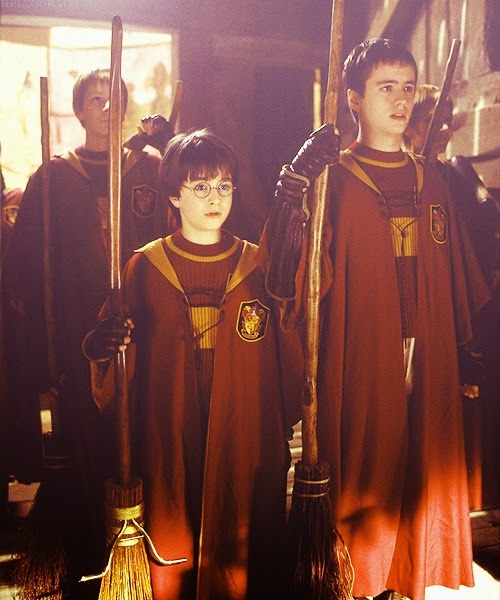 To learn how to fly a broomstick. 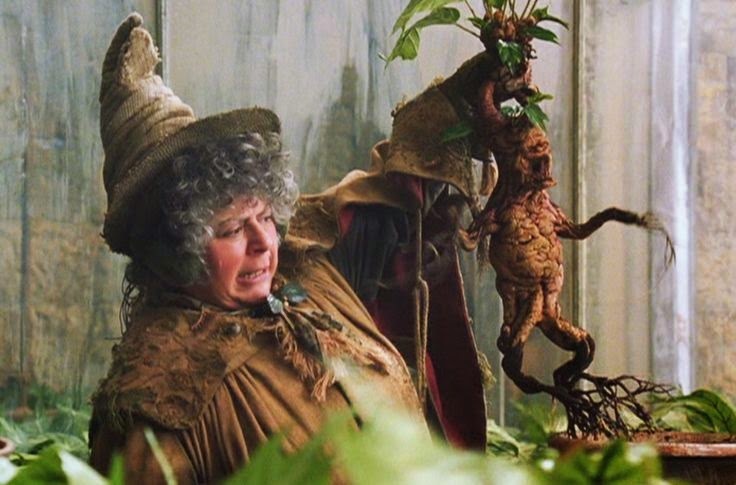 Professor Sprout - I think she's hilarious ahaha. Remember I nominate anyone to do this tag I have created! and remember to tag me when you've done it :) I'd love to see them! It's the 3rd film for me (time travel - you can't beat a bit of sci-fi) and the 4th book. So much of the books are lost on film (esp 4th) - the films don't really work unless you know all the sub-stories. Best film moment? Riding Buckbeak over the loch? You know you want to! Which character would I be? Has to be Fred/ George - creeping around behind the scenes breaking all the rules and getting one over on the teachers, that's where it's at! If I could learn one thing at Hogwarts? DEFINITELY how to make food appear on a table with the flick of the wand. My life would be so easy! Favourite teacher - McGonagall - I think there's a lot going on with her we never get to see. Shame. ahahaha, amazing! Definitely agree with wanting to be Fred/George and making food appear on the table - didn't really think of that one! :) your story about discovering HP sounds so cool!